We may change this policy from time to time by updating this page. You should check this page from time to time to ensure that you are happy with any changes. This policy is effective from March 1st 2018. We use the information you provide us with to sell you the tickets you requested. By making a purchase from this site you are consenting to your financial and/or personal information being passed to any third party organisations necessary to process your transactions with Jubilee Fireworks Ltd, such as credit card companies, banks and the companies that handle shipping on our behalf. Except for these specific cases, we will never share financial information with third parties without your specific consent. 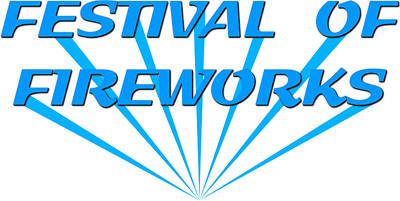 • We may periodically send promotional email about new products, special offers or other information related to the Festival of Fireworks which we think you may find interesting using the details which you have provided. If you do not wish to receive further information please contact us at Jubilee Fireworks Ltd, 29 Dawley Trading Estate, Stalling’s Lane, Kingswinford, West Midlands, DY6 7AP or email us at mail@jubileefireworks.co.uk. We will always respect your privacy and any personal communication between you and ourselves. We will always comply with any data protection legislation currently in force. Under legal obligation we have to reserve the right to release your personal or financial information to assist law enforcement, to comply with laws or regulations, to enforce the terms under which you transacted with us, or to protect rights, property or safety, users of the site or others. We take the security of your personal information very seriously. Consequently we use 2048 bit Secure Socket Layer (SSL) encryption for all your transactions with Jubilee Fireworks in relation to the event The Festival Of Fireworks. This system encrypts all your personal information, including credit card number, name, and address, so that it cannot be read if intercepted by a malicious third party. • if you have previously agreed to us using your personal information for direct marketing purposes, you may change your mind at any time by writing to Jubilee Fireworks Ltd, 29 Dawley Trading Estate, Stalling’s Lane, Kingswinford, West Midlands, DY6 7AP or emailing us at mail@jubileefireworks.co.uk. You may request details of personal information which we hold about you under the Data Protection Act 1998. A fee of £10 will be payable. If you would like a copy of the information held on you please write to Jubilee Fireworks Ltd, 29 Dawley Trading Estate, Stalling’s Lane, Kingswinford, West Midlands, DY6 7AP.